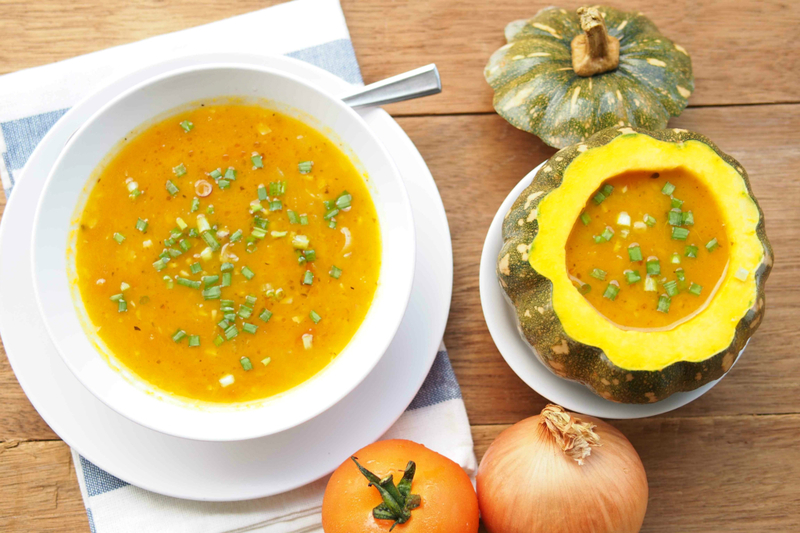 Healthy pumpkin soup for your family! This is my own pumpkin soup recipe. 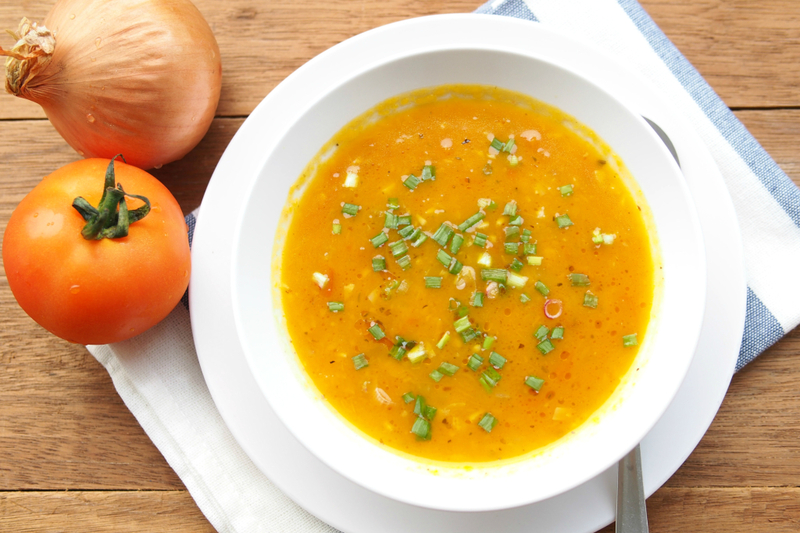 The sweetness of pumpkin and sourness of tomato combines well to make the soup tasty and appetizing. You can freeze this and keep it for several weeks. Just reheat to eat. I used chicken stock the first time I cooked it. But, this time I cooked it without chicken stock and the taste was still just as good. I didn’t miss the stock at all. 1. Steam pumpkin for 15 – 20 minutes or microwave for 5 minutes until soft. Mash the pumpkin with fork. 2. Heat up oil in a clean pot to sauté the garlic and onion until fragrant. 3. Add tomato, mashed pumpkin and water. Add salt to taste and sprinkle some mixed herbs. Stir until well mixed. 4. Bring to boil then lower heat and simmer for 15 to 20 minutes. If too thick, add more water. 5. Pour into soup bowls and garnish with cut spring onion. 6. 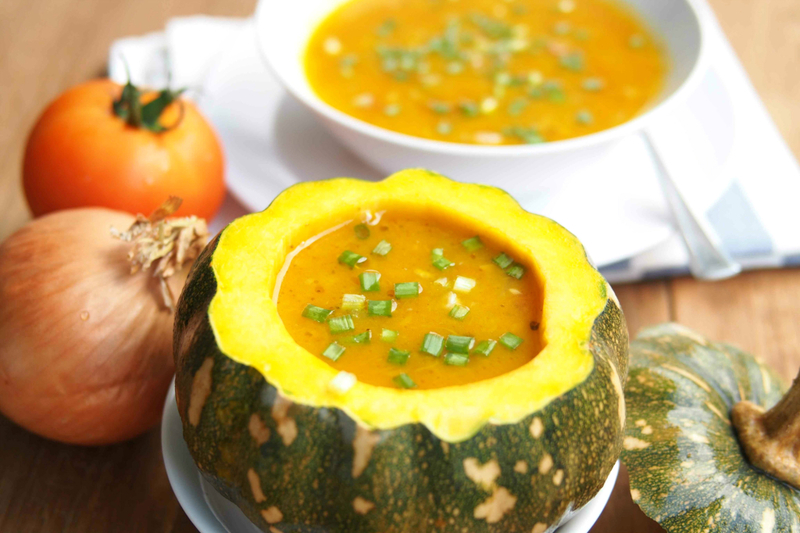 Alternatively you may serve the soup in a hollowed pumpkin.